RobVogt80s: Deciphering "The Satanic Verses"
Cover art for the "Satanic Verses"
It takes a special person to write something so offensive it motivates the leader of a country to issue a death sentence. 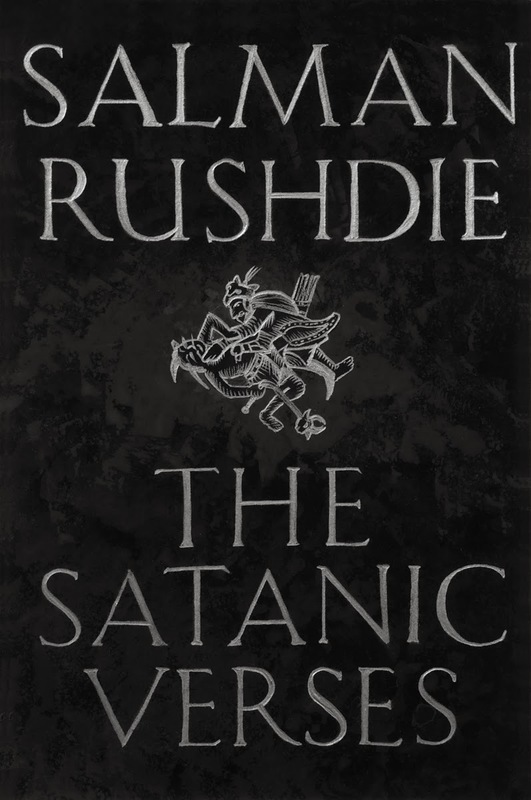 Back in 1988, Salman Rushdie did just that, penning the “Satanic Verses”, which incited so much anger in the Islamic world that in 1989, Ayatollah Khomeini, the head of Iran, issued a fatwa. That meant it was open season on the writer. Now, freedom of expression is something I believe in deeply. It is part of the fibre of my life, and the under pinning of my profession. It sickens me that, essentially, he suffered fear and death threats for a novel he wrote. I never read the “Satanic Verses”, but it came out in my second year of university, while I was taking my one and only English class. 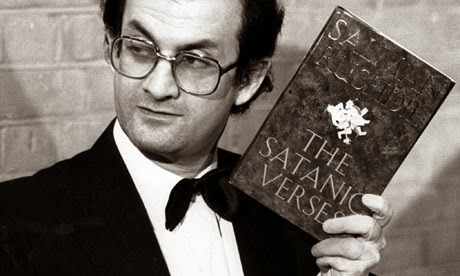 Our professor started one class by advising us there was a public reading of the “Satanic Verses” that afternoon. Me and my friend Chris Vining, who were also in English together, made the trip down there to a classroom. I thought as we approached, given the publicity of the “Satanic Verses”, the reading would be in a lecture hall or theatre. As it turned out, the classroom was packed and we had to sit on the floor. of his controversial book "The Satanic Verses", published in 1988. What followed is very difficult to recount. I understood the words being read out, and the metaphors being drawn, yet it seemed nonsensical. Phrases melted into successive phrases that meandered all over without seeming to make a point. The next time I had this same impression of a book was when I read “Tropic of Cancer” by Henry Miller (only he used the “c” word – a lot). I left that room with a couple impressions. One was that I was not sure what I just heard. The other was that our good friend in Tehran really had nothing to worry about. If the “Satanic Verses” was blasphemy, a lot of readers would never even know it. Would the Ayatollah even have a clue?